Sushi, cooked entrées and vegetarian options abound at this longstanding Bucktown BYOB. : There's a lot to like about this popular sushi spot, from the casual, not-overly-loud environs to the consistently good sushi and lower ticket prices, thanks to the BYOB license. Start with tropical ceviche and ginger-accented tuna tartare before plucking hamachi maki and spicy unagi from artfully presented plates. 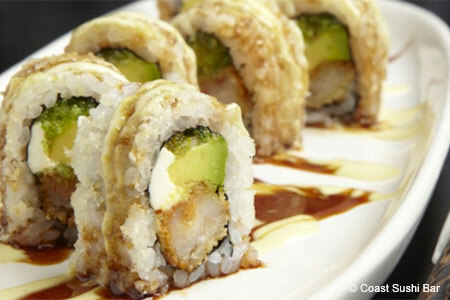 It's the signature rolls that get folks especially excited, but the White Dragon with shrimp tempura, wasabi tobiko, cream cheese avocado, scallion spicy sauce, wasabi dressing, eel sauce and tempura crumbs is also worth a try. A limited menu of non-sushi items stars choices such as teriyaki and tempura with the diner's pick of meat. Finish with mochi, lychee sherbet or green tea ice cream. Other locations in the South Loop at 1700 S. Michigan Ave., and in Evanston at 2545 S. Prairie Ave., which are full bar, not BYOB.